Friends… I’m home! After two weeks abroad, that is such a bittersweet thing to say, but if I’m being honest, that time away was just what I needed to feel refreshed and ready to get back into the swing of things! I still have so much to share with you from my time in Italy and France, but today I want to talk weddings! Particularly because I’m spending one day of downtime here in Dallas before heading to a wedding in San Antonio this weekend. 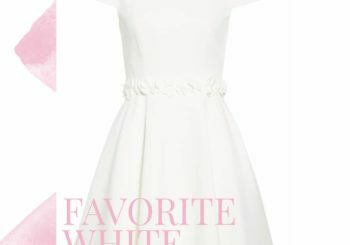 Before leaving for Europe, I stumbled across this beautiful wedding guest dress that I wanted to share with you today. 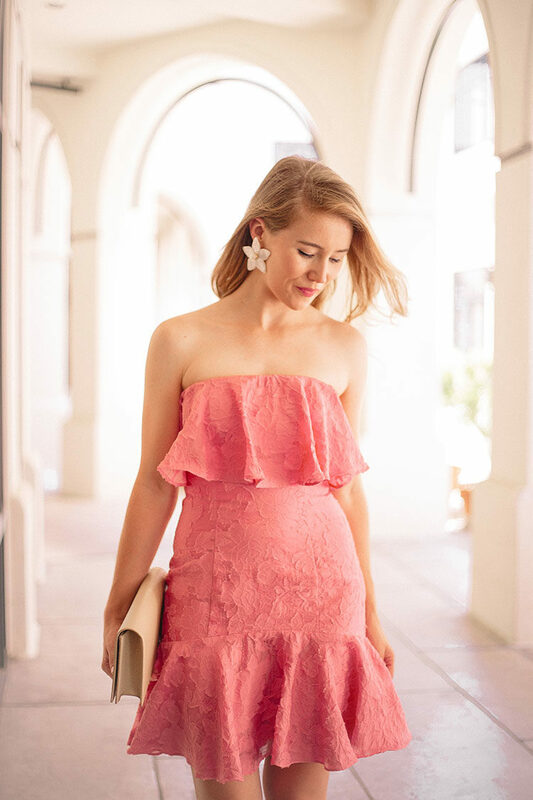 Between the gorgeous peach color, the lovely lace fabric and the flattering, feminine (and just a bit flirty!) cut, it’s the perfect thing for a summer wedding affair. 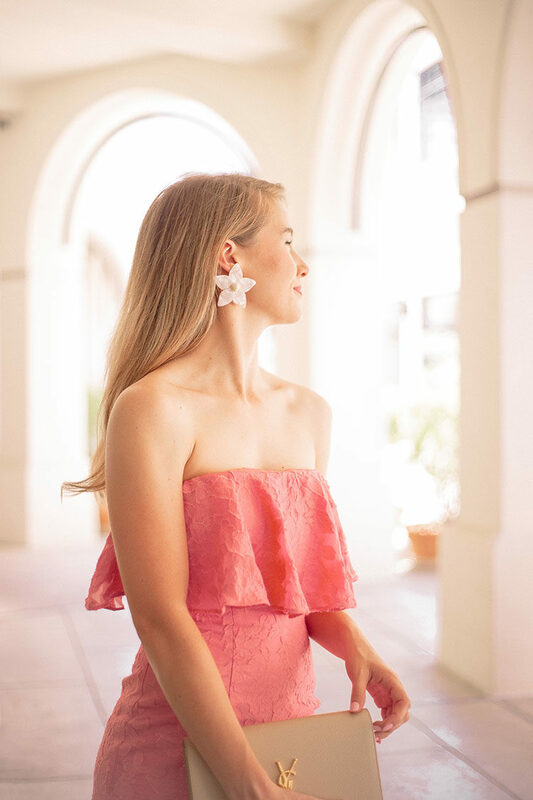 My weekly newsletter is actually all about weddings this week, so sign up here to get in on all the fun, exclusive content! Be sure to check in tomorrow, as I’ll be sharing a long-overdue latest and greatest roundup with y’all! Hip, hip, hooray! This color looks gorgeous on you! I’m looking forward to tomorrow’s Latest & Greatest, as well as the rest of your Europe posts!